Ever since it was announced back in 2016, Death Stranding has become the video game community’s biggest conundrum. While we’ve had trailer after trailer after trailer, Hideo Kojima has yet to provide us with a release date, a detailed explanation of the plot, or what some of the features will be with the gameplay. With such little information to go on, it begs the question, just how will the video game play if/when it eventually releases? That pretty much sums up how Kojima goes through his video game development, but as for the game itself, Reedus goes a bit more into it. “The concept is so far out into the future. Instead of eliminating everyone around you, it’s bringing everyone together. It’s a very positive video game, but scary and depressing at the same time.” While his description was vague at best, it does provide a little more insight on what we could potentially see in the final product. Death Stranding has become something of a passion project for Kojima, as this will be the his first on his own since he acrimoniously split from longtime developer/publisher Konami, which has been well documented. As of this writing, all we know about the game so far is that it’s described as an action game set in an open world environment, with Sam Porter Bridges, Norman Reedus’ character, being sent to an alternate world every time he dies. Jordan Vogt-Robers, the director for the upcoming live action Metal Gear Solid movie, was actually able to play it recently and came away impressed. Despite Kojima’s insistence that production is going smoothly, and more trailers at E3 2018 and the Tokyo Game Show 2018, we’re still missing that elusive release date. 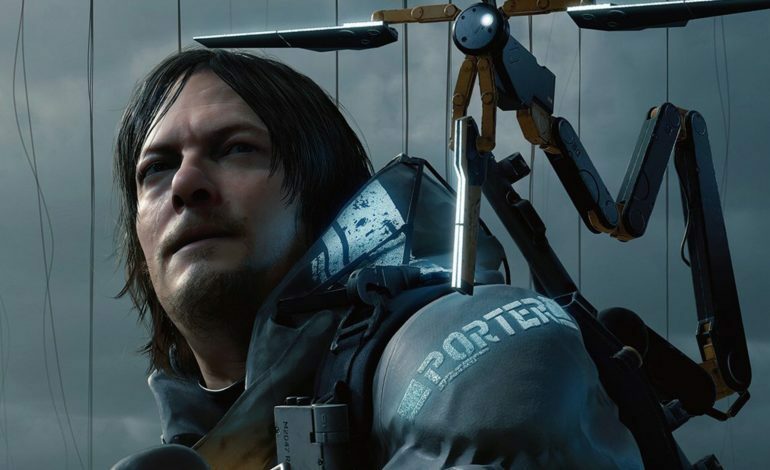 Whether it’s development issues, or possibly Kojima continuing to mess with his fans, Death Stranding has piqued the interest of the video gaming world. Since this is a PlayStation 4 exclusive, and with Sony bowing out of E3 2019, we probably won’t hear or see anything in regards to the game for a while. Hopefully, the next announcement will be when it finally launches. Death Stranding will launch exclusively for the PlayStation 4 eventually, we hope.